You may be surprised to learn that not every audit notification you receive will be legitimate. So, first, make sure you received an official audit notification. The Internal Revenue Service (IRS) will notify you either by letter or by a phone call followed by a letter. The IRS does not notify taxpayers about audits through email, so if you do get an email saying you’ve been selected for an audit, it’s probably fraudulent. If you’ve determined that you’re definitely getting audited, your next step is to learn what’s involved. That’s it. It’s an audit — not an arrest and not a trial — so don’t panic. Contrary to popular belief, an audit doesn’t automatically mean you made a mistake. Yes, an inconsistency can trigger an audit if there’s a discrepancy between what’s on a tax form and what you actually reported. But the IRS may choose to audit a taxpayer based on random selection or a statistical formula. Also, an audit may be less intrusive than you feared. For example, it may be entirely through the mail, although in some cases, it may be at an office or the taxpayer’s home or place of business. And not all audits result in your owing money. In fact, your audit may lead to no changes at all. Both businesses and individuals may be audited (even sole proprietorships), and there may be some differences in how they are handled. One thing that virtually all audits have in common, however, is access to records. The IRS is going to want to check some of your records, and maybe a lot of them. Did you deduct business expenses? Make some substantial charitable contributions? You’ll need to show the IRS some receipts. The good news is that in many cases the IRS accepts electronic records. 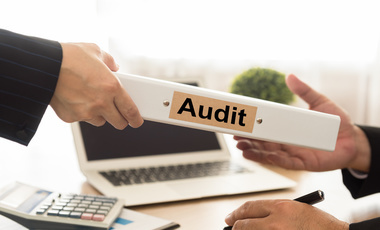 There is no typical length of time for an IRS audit, but if you have your records handy and cooperate fully and quickly, you increase your chances that it will be as brief and painless as possible. Ultimately, the IRS may determine that you owe more money. At this point, you can pay it or you can appeal. The audit doesn’t have to be the end of the road. There is a substantial appeal process and a long and expensive court trial may not even be necessary. The important thing to remember is that you don’t have to go it alone! Your accountant can work with you throughout the audit process, including any appeals. The key factor is to call us as soon as you receive the notification about your audit. We’re ready to work through the details and help you gather any records you may need.